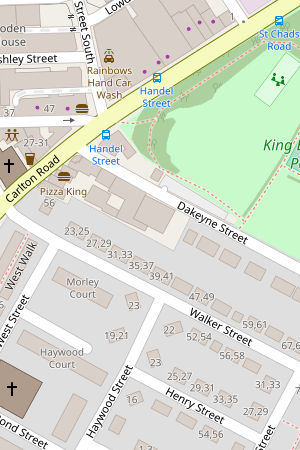 OpenStreetMap is a collaborative project where individuals and organisations contribute to a free and editable map of the world. Rich in local knowledge OpenStreetMap includes an incredible level of detail that continues to grow every day. The data generated by the OpenStreetMap project is considered as the primary output, although it is possible to use OpenStreetMap just as a map. What if a map can be built with the collective knowledge of thousands of individuals and organisations? With OpenStreetMap it can. We pride ourselves in the richness of our data collected by thousands of partners all experienced in their own fields. From individuals who add local knowledge to the map in their home-town, to organisations from across the public and private sector who add information collected from their day to day activities, OpenStreetMap includes the full range of contributors. These same organisations, and many more, also benefit from using the map and the underlying data. From apps to movies, OpenStreetMap is being used everywhere. Most maps you think of as free actually have legal or technical restrictions on their use, holding back people and organisations from using them in creative, productive, or unexpected ways. They are often also supported by advertising. OpenStreetMap is different – we believe that you should be able to copy, distribute, transmit and adapt our data with minimal fuss. With thousands of partners all helping to keep the map up to date, OpenStreetMap need not advertise. What is shown on the map reflects what is on the ground and we will never give greater precedence to paid advertisers.